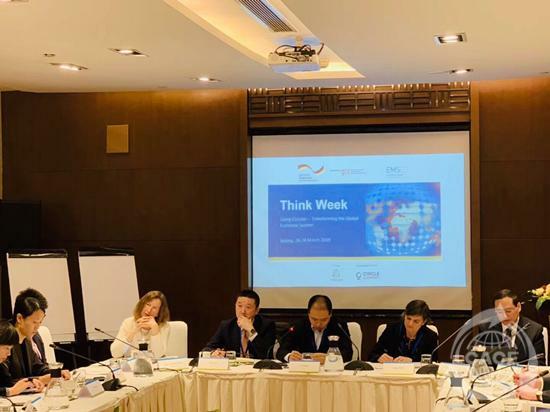 Co-hosted with Deutsche Gesellschaft für Internationale Zusammenarbeit (GIZ) GmbH, Circle Economy as the knowledge partner, the EMSD Think Week-Going Circular was held from 26th-28th in March. The three day workshop invited participants to identify industry-specific policy and business challenges posed to emerging economies by the departure from known modes of production, consumption and cooperation and along the transformational path ahead, collaboratively explore what a circular city could look like, by focusing on construction, food & agriculture and consumer electronics. 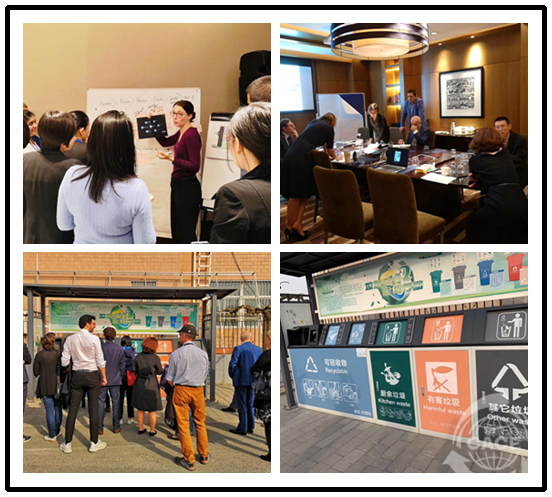 Government officials, international organization/company representatives, scholars from China, Argentina, Chile, Germany, Italy, India, Mexico and other countries attended the workshop. During the Think Week, the attendees were organized the field visit to a waste sorting and recycling pilot.